I love DIYs and I love saving money. They are two of my favorite things ever! My husband knows it. My friends know it. Facebook knows it. And their ads clearly know it, too – because as I was scrolling through Facebook one evening, an ad for a “Do-It-Herself” workshop showed up in my feed. I was immediately interested as I clicked on it, and learned they take place often in Home Depot stores across the country. 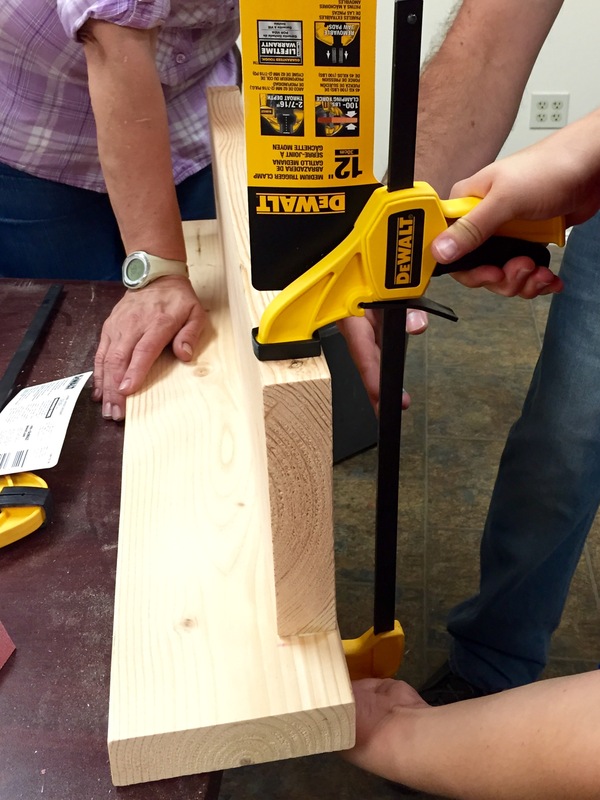 The store offers free workshops for all ages and experience levels, several times a month. Parents listen up- they even offer classes for kids! 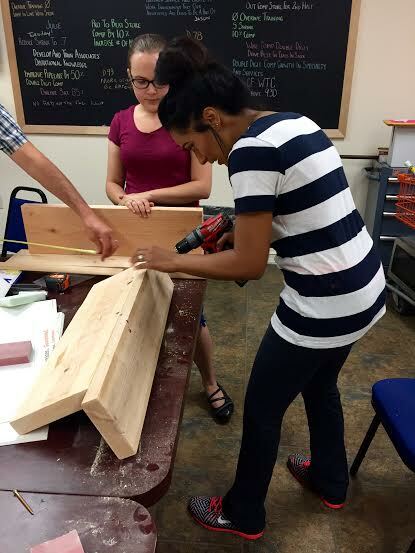 I attended my first free do-it-herself workshop recently and we had a blast building this adorable shelf. I’m not going to lie though- it was work!! Fun work, but I’d be lying if I said I didn’t break a sweat once or twice. 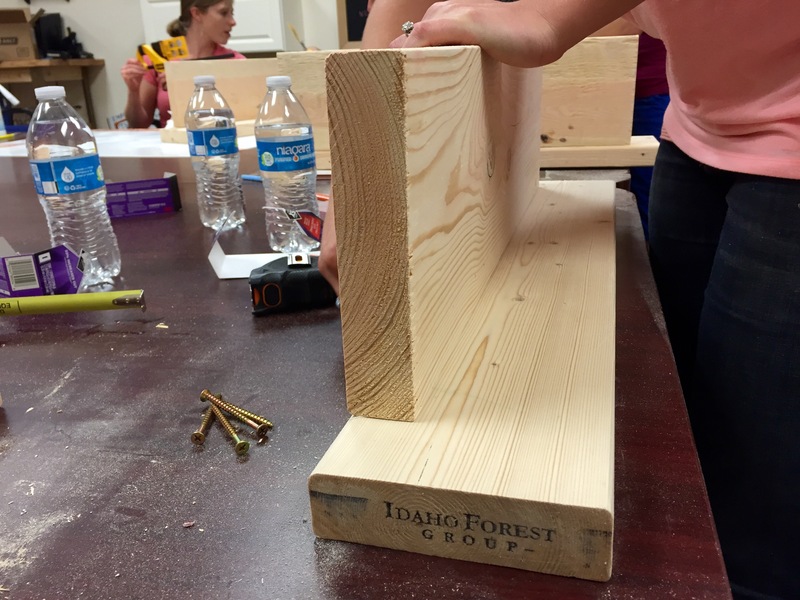 We were sanding, sawing, drilling, staining- it was completely hands on. I mean I can build an Ikea dresser with the best of them, but I’ve never done anything like this before. I’m really glad I stepped out of my comfort zone and attended the class- I was so proud of myself when we were finished! Here’s the final product again- I can’t believe I built this! Typically, the materials are totally free so I called ahead and asked about any anticipated costs so there weren’t any surprises for us. 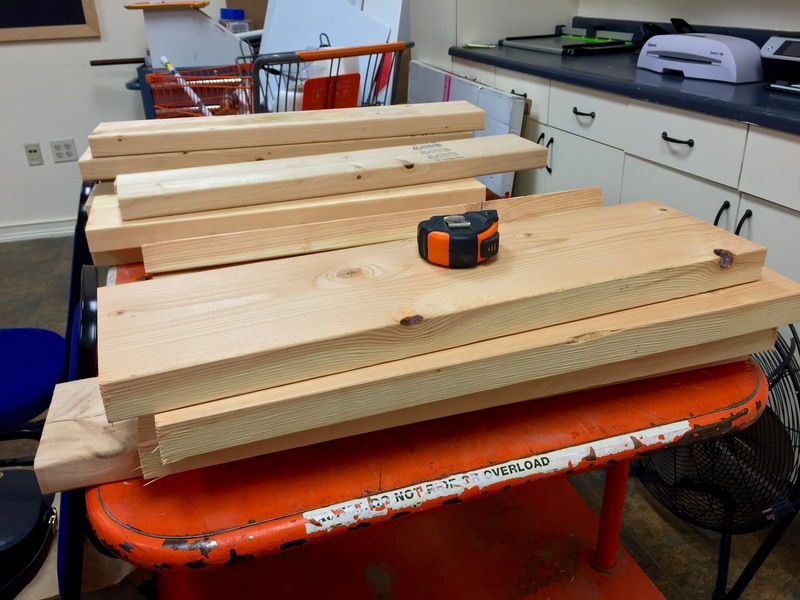 All of the supplies were provided for free (wood, sanding blocks, wood glue, moulding, stain, power tools, screws), except some hooks that we purchased. 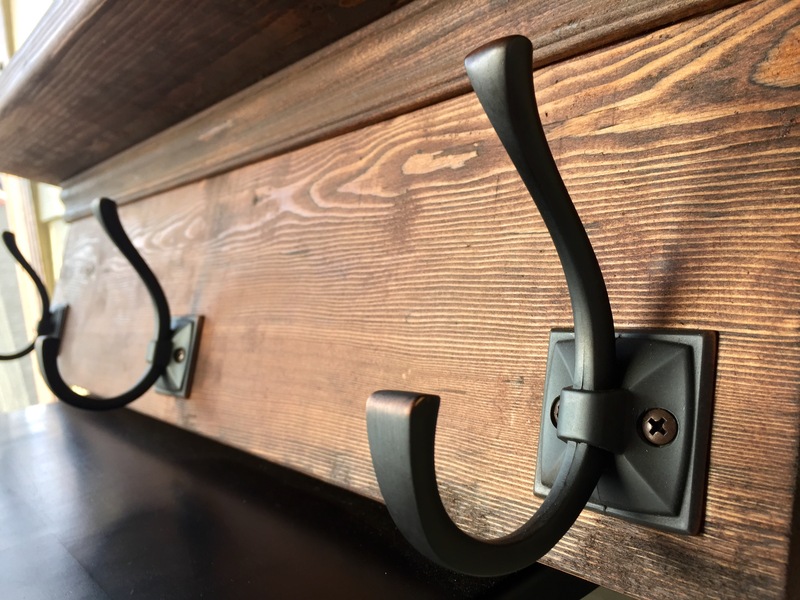 I wanted some fancy hooks that were $4.97 each- so my total came out to just a little over $16 after tax, totally worth it in my opinion. When I come across a great find- I just have to share! I think the free workshops would be perfect for a girls’ night (I’m planning one right now) or even a fun date with your man (some ladies in our class brought theirs, or there are co-ed classes as well). It was empowering to also have women as our instructors, and a little less intimidating to be honest. 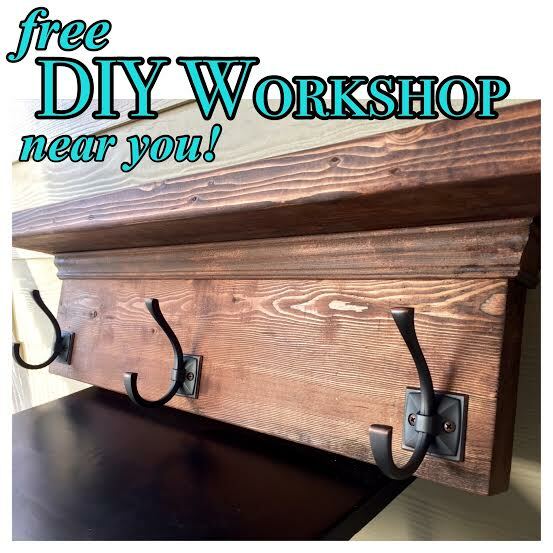 If you’re interested click here to see all the workshops available at Home Depot right now. You’ll need to register for the class (just enter your name and email) and they’ll send you a message to confirm you’re in. ps- make sure to subscribe below to receive future DIYs & tips delivered to you! Holy cow, this is awesome! Thanks for the tip. I can’t wait to hit one up at my local store. BTW, I love the stain on this and you have excellent taste in hooks. Ha! This is amazing!! As soon as I read, “Do-it Herself” I thought ladies night, too! Thank you for sharing this. It looks like it would be a blast! With your awesome recommendation I’m sure we will have a blast! This looks so fun! I’m going to find one near my place too. Thanks for sharing! Wow I had no idea these existed! Your shelf is beautiful and I’m checking to see if they have any going on near me! Thanks beautiful! I hope you get to go to a workshop- they’re so fun! I’m going to have to keep an eye on our local store. These look like fun! And congrats on your build. It’s beautiful! Thanks girl- I can’t believe I made it 🙂 I’m excited for you to go to a class! I always thought they only held the workshops for children. Can’t wait to sign up for my first, thanks for sharing!